Thanksgiving was back in October here in Canada, but I know it's up and coming for those of you in the U.S. Does your family have the corny Thanksgiving tradition of going around the table one at a time to say what you're thankful for? Mine does. Yes, it's corny. Very corny! But it does get you thinking of something beyond the plate of steaming flavours in front of you. 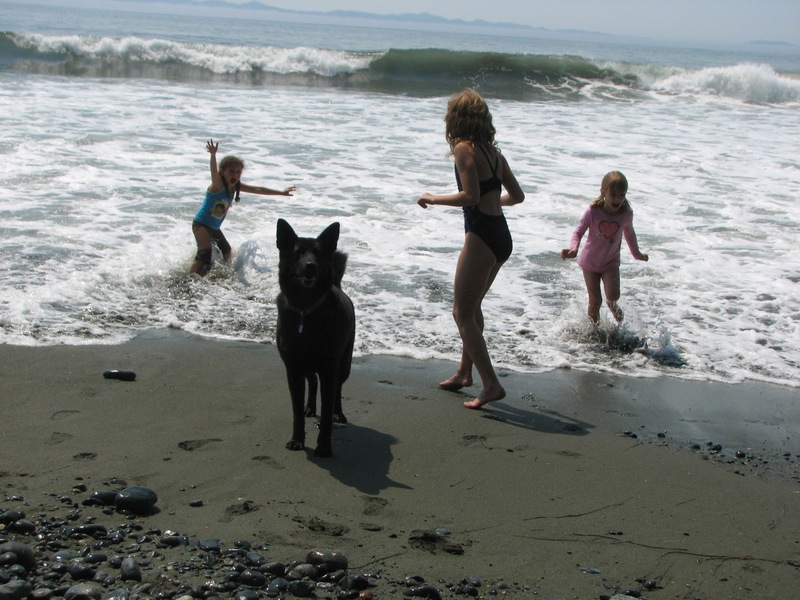 My new habit is to open my eyes on a daily basis to all the little things there are to be grateful for. 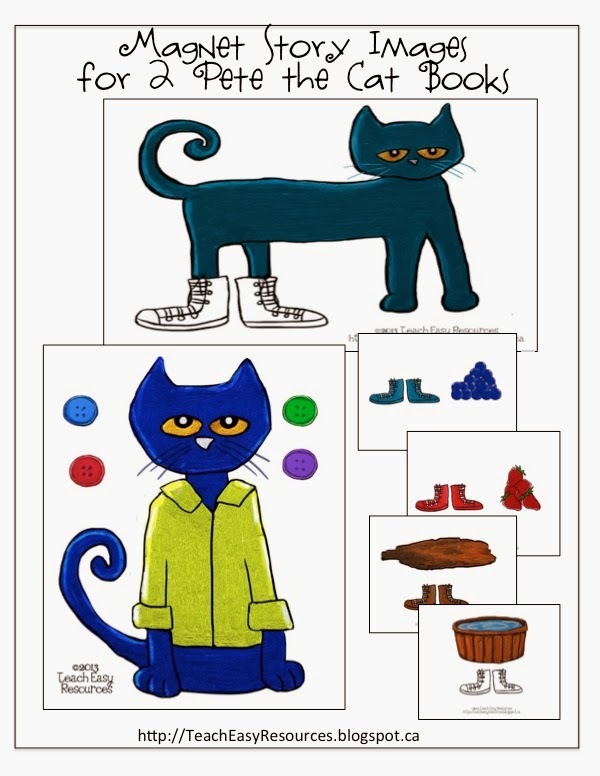 I call it my "Pete the Cat" attitude! Pete the Cat stories come with "groovy" music that the kids love, but the message of the stories is even better - "No matter what you step in, just keep on singing your song." 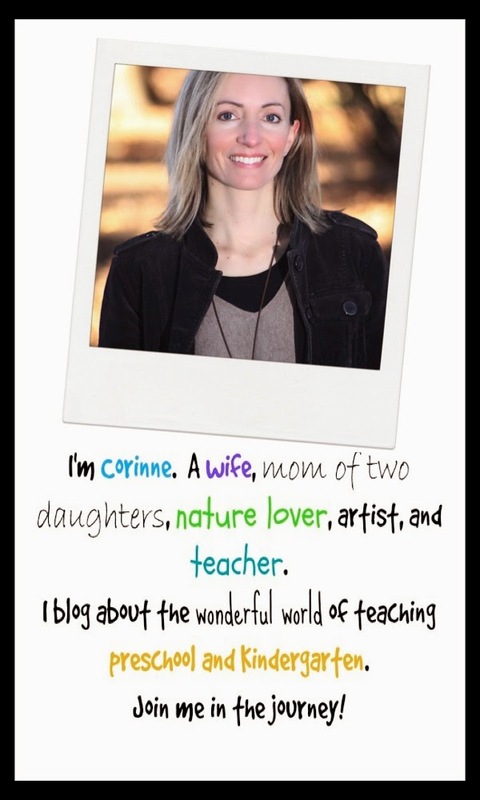 What a great message to send to kids, and to ourselves! 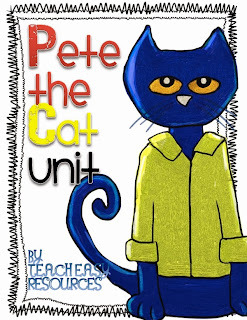 And this is why Pete is the focus of my new unit. 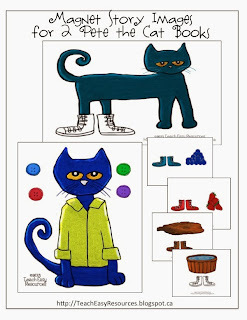 There are images to use for two different Pete the Cat stories. 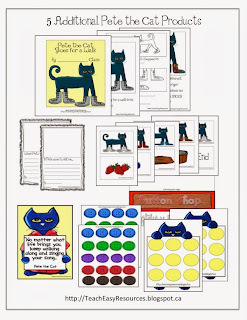 Just cut out the pictures and add magnets to retell the stories on a magnet board. 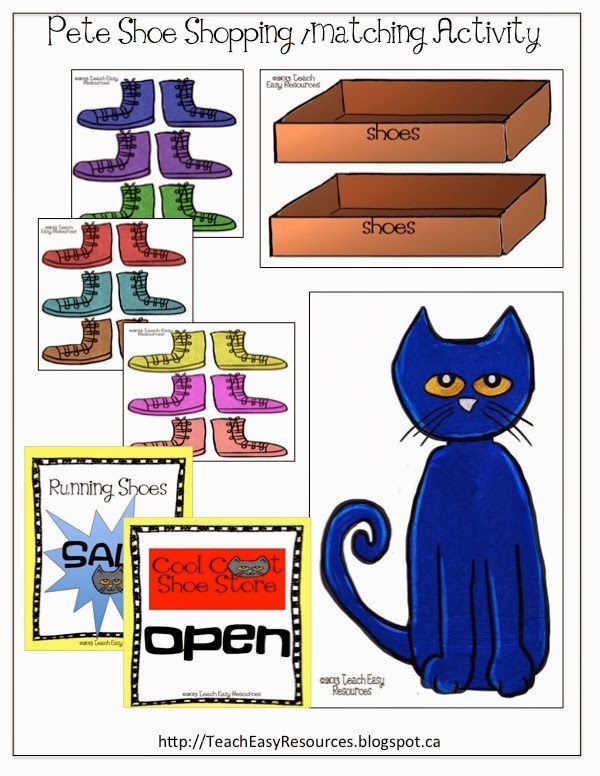 Or add velcro to retell the stories on a felt board. 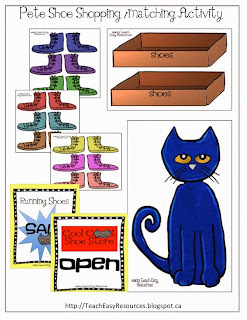 There's a fun shoe shopping activity for center time that encourages colour matching the pairs of shoes, as well as invites dramatic play as Pete shops for the pair he likes the best. 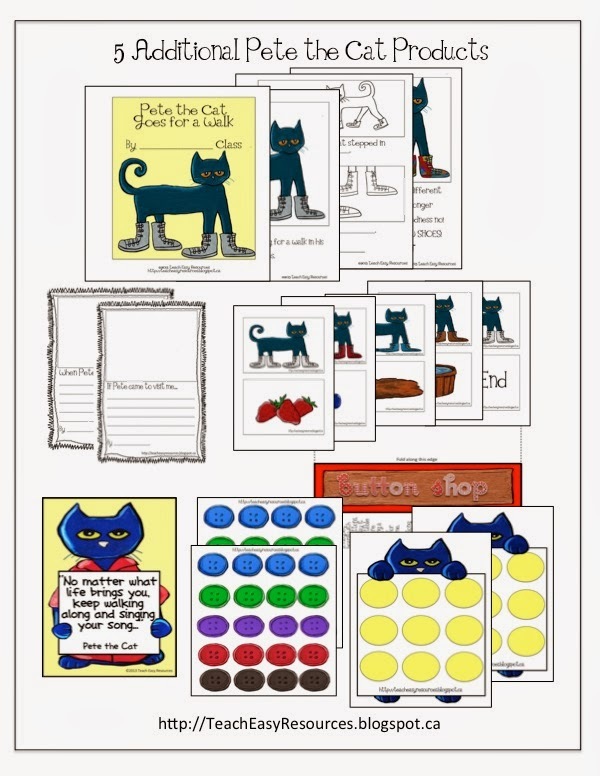 There's another 5 additional products including a 2 person button counting game, a class big book template, a Night With Pete worksheet set, a Pete poster, and a sequencing cards for "I Love My White Shoes." As Pete would say, "It's all good!" 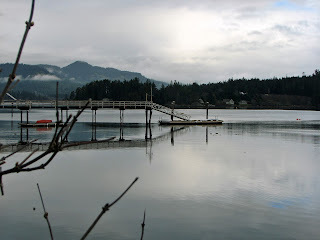 Yes, all the little things really do add up when I focus on them. The other stuff - well, I'm just going to let it slide.